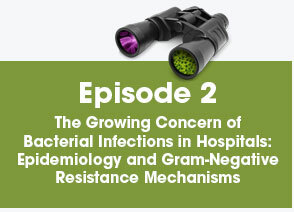 As a key patient advocate in acute care settings, hospital based clinicians play a major role in ensuring that appropriate measures are in place for their patients with or at high risk for serious bacterial infections. They cannot only ensure that appropriate preventive and diagnostic measures are performed, but can be an invaluable member of the interprofessional healthcare team involved in clinical decision-making. 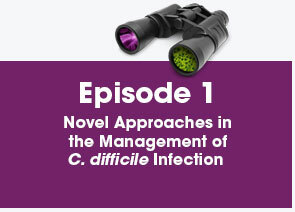 As the CDC has included specific multidrug-resistant Gram-negative bacteria and C. difficile on their list of serious healthcare threats in the US, hospital clinicians must be aware of the latest approaches to minimize the burden of these infections. This program reviews the latest evidence demonstrating how treatment selection should be guided by patient and pathogen risk factors for poor clinical outcomes. 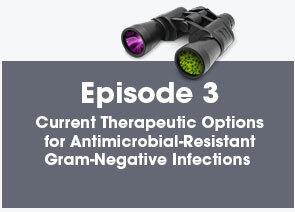 The program also highlights the role of the latest treatment approaches, including the use of newly-approved beta-lactam/beta-lactamase inhibitor combinations for serious Gram-negative infections, and novel approaches for C. difficile infection. Optimal management of serious bacterial infections requires contributions from all healthcare professionals involved in the management of patients at risk for these infections. Therefore, this program targets hospital based clinicians who play a role in managing and preventing infections at healthcare institutions. Center for Independent Healthcare Education is accredited by the Accreditation Council for Pharmacy Education as a provider for continuing pharmacy education. Center has assigned 2 contact hours (0.2 CEUs) of continuing pharmacy education credits for participating in this activity. Pharmacists: Credit will be uploaded to CPE Monitor on the first of every month. Dr. Johnson discusses the off-label use of following: Metronidazole, rifaximin, nitazoxanide are not FDA-approved for treating CDI, but are commonly used. Advisory Board: Accelerate Diagnostics, Allergan, Astellas Pharma, The Medicines Company, and Merck & Co.
Dr. Lewis discusses the off-label use of following: Off-label use of agents for multi-drug resistant Gram-negative organisms in non-FDA-approved sites/infections. Dr. Rodvold discusses the off-label use of following: Ceftazidime-Avibactam, Ceftolozane-Tazobactam, Meropenem-RPX7009, Imipenem-Relbactam, Aztreonam-Avibactam, S649266, Plazomicin, POL7080, and BAY 41-6551. This activity is supported by an educational grant from Merck & Co.